319 Erin Circle, Mt Washington KY 40047 is a fantastic 3 Bedroom Brick Ranch with a two car attached garage in Wilchar Estates! A tiled front foyer leads to a spacious Great Room accented by white trim, a decorative vaulted ceiling, and a fireplace. The Kitchen includes a center island, great cabinet space, and a dining area that looks out to the back yard. A large Master Bedroom showcases three windows for natural light, a vaulted ceiling, and Master Bath. Two nice secondary bedrooms, a full bath, and a walk in laundry complete the floor plan. The fully fenced back yard includes a terrific patio (perfect for outdoor entertaining) as well as a storage shed and grassy area. 319 Erin Circle, Mt Washington KY 40047 is completely move-in ready with numerous updates including a new roof (2012), fresh paint in all bedrooms and both baths, new tiling, new windows (2012) ,and new exterior doors (2010). You will fall in love with this home! Call today for property information and one of our Realtors in Louisville Ky will be glad to assist you. Realtors that work hard, play hard! At Home In Louisville Real Estate Group took the afternoon off Friday June 14th for a wonderful outing with 65 other Keller Williams Louisville East agents. We had a fantastic afternoon enjoying one of Louisville’s top attractions: Churchill Downs! Did you know that you can get tickets to the Downs to watch the horses race on weekdays? Tickets start at $3 and work their way up depending on what view you want of the track. Food and beverages are available on site so you won’t have to leave the grounds. Most summer and fall Saturdays, you can also experience “Downs After Dark”. There is generally a fun theme to get people in the spirit. Past themes have included: The White Party, where everyone wears white, and a 1970s theme, where everyone gets their groove on. Stop by the track on Sundays starting at noon and you will enjoy “Family Fun Day” with crafts and entertainment for the kids. The races end in June but pick up again in September with more Downs After Dark events. Take advantage of the summer and fall races to become an expert for the 2014 Kentucky Oaks and 2014 Kentucky Derby! For more information about things to do in Louisville, KY or Louisville, KY real estate, contact us today. 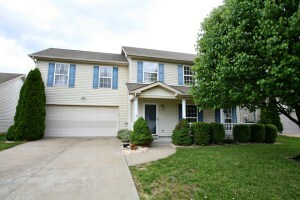 6310 Limewood Circle, Louisville, KY 40222 is a spacious 3 Bedroom home in Lime Kiln Manor. 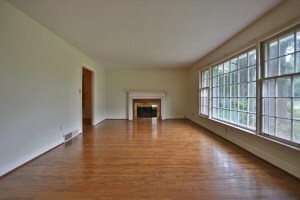 The front entrance leads to a large Living Room with a brick fireplace and hardwood flooring. The Formal Dining Room opens to both the Family Room and the Kitchen. The Family Room has wood paneled walls and crown molding. 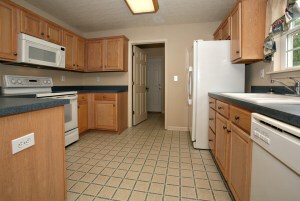 The kitchen has plenty of cabinet space and a nice dining area that exits to the back yard. The Master Bedroom has its own bath and a private exit to the back yard from the bedroom. There are two other good sized bedrooms positioned conveniently to a hall bath with skylight and jacuzzi tub. The Basement level of 6310 Limewood Circle, Louisville, KY 40222 includes a Full Bath, Laundry, and Family Room as well as two additional completed rooms that could be used as bedrooms or offices. There is also an unfinished area for storage or future completion. The Back Yard is large and fully fenced. 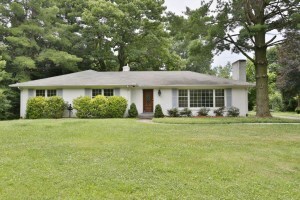 Call today to learn more about the property and homes in Louisville Ky.
414 Cornell Pl, Louisville, KY 40207 is a gorgeous 3 bedroom, 2 bath Cape Cod in St. Matthews! The home includes a one car detached garage and has had many recent upgrades including new appliances (2011), replacement windows throughout (2008), newly poured concrete driveway (2012), refinished hardwood flooring (2008), and fresh paint throughout! For more information about this home or to learn more about homes in Louisville, please call 502-371-1173. 8437 Arbor Meadow Way is a wonderful move in ready stand alone patio home! The property will be held Open this Sunday June 23rd from 2-4. Come and take a look at this great piece of Louisville Real Estate! 2903 Weissinger Rd Louisville, KY 40241 is a wonderful brick ranch with three bedrooms and three full baths in Langdon Place. The home features over 2900 square feet of living space and is in the perfect east end location with easy access to shopping and dining along Westport and Brownsboro Rd! The home has been lovingly maintained by the same owners for more than twenty years and includes a fully fenced in yard and 2 1/2 car garage! The hedged front entry leads to a nice foyer and large Living Room with plenty of natural light and crown molding accent. The Formal Dining Room, with decorative chandelier, is conveniently located off of the Kitchen. The Kitchen has abundant cabinetry and a good sized dining area. The Family Room is cozy with a great brick fire place, recessed lighting, and exposed wood beam ceiling. The Master Bedroom has a private Master Bath and the two secondary Bedrooms are positioned conveniently to a Full Bath. 2903 Weissinger Rd Louisville, KY 40241 features a fully finished basement that includes a spacious Family Room with another brick fire place as well as a wet bar. There is also an additional Full Bath, Den, and Recreation Room! 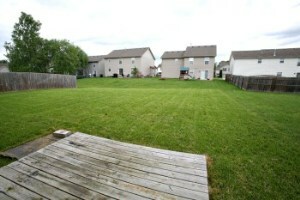 The back yard feels quiet and peaceful with a nice grassy space and a covered back patio. The covered back patio is positioned between the home and garage and provides shelter between the house and garage. Wonderful square footage and terrific location! This home is sure to bring its new owners many years of happiness. Call today to set up a private showing of this property and one of our Louisville Ky Realtors will be glad to assist you. 11405 Walnut Farm Place, Louisville, KY 40229 is a stylish 3 Bedroom home in the Cooper Farms neighborhood. The front entrance leads to a beautiful two story Great Room showcasing a fireplace with custom wordwork surround, pergo flooring, and neutral decor. The Great Room also features several large windows which bring in wonderful natural light. The Eat-In Kitchen is accented by a chandelier and track lighting and offers modern appliances and abundant cabinet space. The kitchen dining area exits to the back patio. The Formal Dining Room is great for welcoming guests to dinner and features decorative wainscoting and crown molding. A room that is currently used as a home office and a nice half bath complete the first floor. The Master Suite is lovely with a display plant ledge, vaulted ceiling, and relaxing Master Bath with double vanity, soaking tub, and walk in closet. The Master Suite also contains a huge walk-in closet! The secondary bedrooms are good sized and connected by a Jack and Jill Bath. The Laundry Room has been conveniently positioned on the second floor as well- no need to carry loads up and down! 11405 Walnut Farm Place, Louisville, KY 40229 is a fantastic piece of Louisville Real Estate that has been extremely well maintained. The home offers a two car garage as well as a fantastic back yard with a large flat grassy area as well as a patio. Cooper Farms residents also have access to a neighborhood pool, clubhouse, and fitness room! If you would like more information about this property, please contact At Home In Louisville Real Estate Group at 502-371-1173 today. 6619 Timberbend Dr Louisville KY 40229 is a spotless completely move-in ready home in Louisville Ky. This lovely 3 bedroom home with 2 car attached garage sits on a nicely landscaped lot in the Timberbend neighborhood. The inviting front porch welcomes guests into a large Living Room with a gas fire place, ceiling fan, and plenty of natural light. The sunny Dining Area with chandelier fixture is connected to the Living Room and opens to the Kitchen. The Kitchen offers lots of cabinet and counter space for easy entertaining. A half bath and Laundry Room with overhead shelving complete the first floor. Stairs to the second floor open to a spacious Loft Room that is large enough for a second Family Room! The Master Bedroom can easily accomodate a large bedroom set and includes a walk-in closet, ceiling fan, and Master Bath. 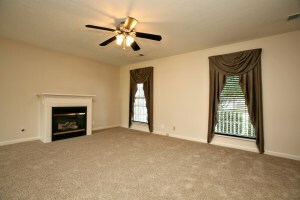 Two secondary Bedrooms are good sized featuring neutral walls, ceiling fans, and new carpet. The second floor also includes a nice Full Bath. 6619 Timberbend Dr Louisville KY 40229 has been incredibly well maintained and offers fresh paint and new carpeting throughout. The back yard is perfect for outdoor sports and entertaining offering a large flat grassy space, a deck, and an irrigation system. If you have additional questions about this home or would like to set up a showing, please contact one of our qualified Louisville Ky Realtors today at 502-371-1173.